Hey guys? Missed me much? I've certainly missed blogging a lot!! School is finished and I wanted to blog earlier last week but Blogger went down for a long time so I couldn't blog :( What timing that was. Anyway just got some stuff to share with everyone. Hopefully the blogging business will get back to normal. First off some of you might not have noticed but I'm hosting a Sigma F80 Flat Top Kabuki Giveaway which is sponsored by Sigma themselves. So if you would like a chance to win an F80 brush please click on this link to reach the post (Opened International). If you had entered before please also check the post again, because Blogger went down they really stuffed some things up and your entry to this giveaway might have being deleted by them!!!! 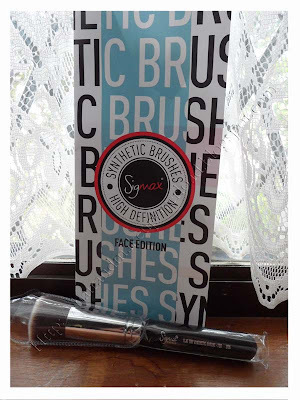 Please check as I don't want anyone to miss out a chance to win the brush! About last month I think it was sometime after Easter I popped down to the shopping centre where Inglot is with my Cousin who came home to visit. She wanted to buy some stuff since she had forgotten her beauty bag and was left with nothing to use while she was visiting. While there I have noticed sadly that prices have definitely gone up and the 10 eyeshadow palette (square) had gone up to $95 :( However I also saw they now have the 20 eyeshadow palette (Square) but completely forgotten what price it was. Anyway I didn't plan to buy anything and so I was just browsing and helping my cousin out with some concealer and powder. I know Inglot has a little bargain box next to the cash register so I thought I take a quick look. Nothing too interesting but I did see some Matte Eyeshadow on sale. About 50% off so I picked up the three bright colours for $10 each and I think they normally retail for about $22 each or something. 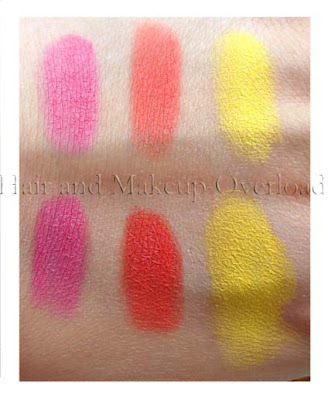 Here are some swatches of the BRIGHT colours, which are all completely matte :) Love matte eyeshadows to death! They're great quality and are silky smooth when applied. Regardless if you have a base or not they're super pigmented and vibrant that $10 each was worth it. They're also quite big so the quantity is definitely worth it as well. Haven't gotten around to actually using them for a look, but hopefully I can now since I have more time while I'm on school holiday. 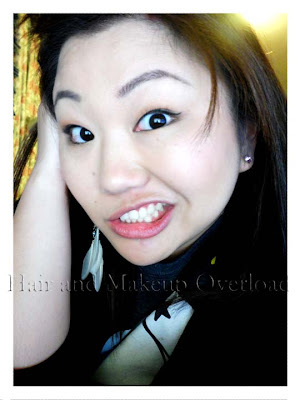 Now to finish off this post with 2 looks I've worn recently and both are very natural and soft so nothing extreme or dramatic yet. @Jess: yes the one i go to has a little black box with all the clearance stuff. most the time it is like lip liners but i saw these and they said only $10 each so i had to get it!!!! such pretty colors! def agree with you, love matte! oooh very cool! I finally went into an inglot in Vegas. It's very chic! But I didn't buy anything :( But it made me think of you! Ohh those ingot eye shadows are so perfect and pretty for summer!! 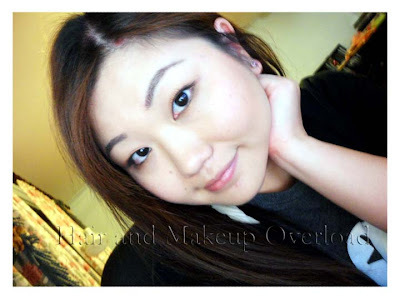 Heart your eye makeup!! Your eyes are so big I'm so jelly!! Ahh what gorgeous colors you have. 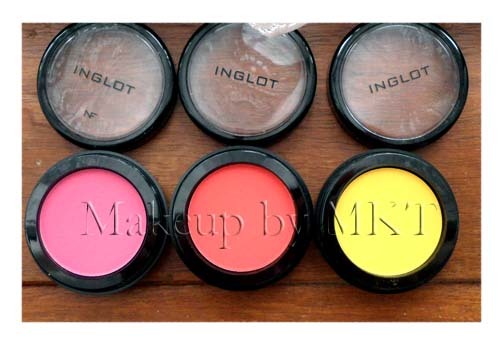 Also, I LOVE Inglot. I bought my first ever eyeshadows/eyeshadow palette some time last month. I've been following your blog for a few weeks now and really like it. My friend showed me your blog because she says we look alike lol! I think you're much prettier though. Sigma F80 Brush Giveaway Winner!!!!! !